The three beach houses are individually designed, each having its own personality and charm. 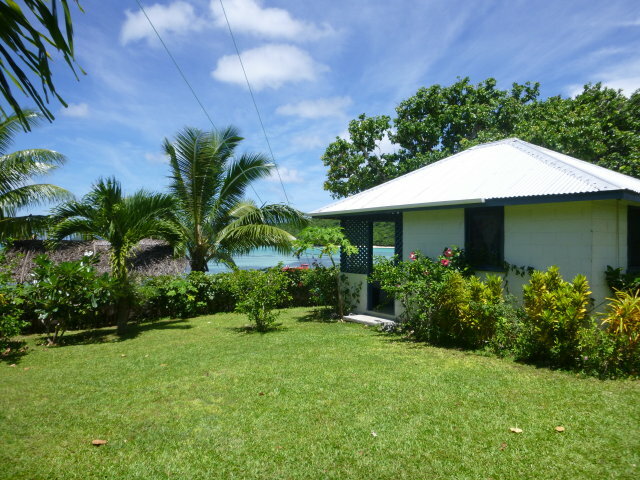 Offering a choice of accommodation, which allows you to select your own personal Vava'u holiday. 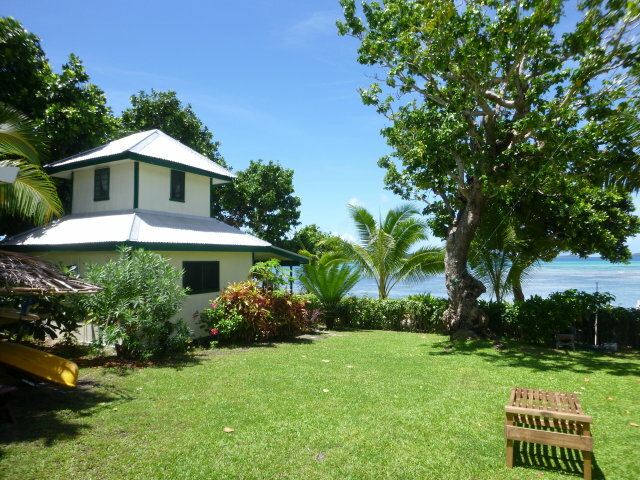 The lovingly furnished blue beach house is now suitable for 3 persons with a single bed over a queen sized bed (bunkbed). The covered porch offers a wonderful view of the ocean. The house has its own bathroom with hot shower and a kitchenette with a fridge and a electric stove. The large mosquito protected door and windows make it very breezy. Furthermore, the house is equipped with a fan. One of our new duplex units, Fale Taha has a double bed, screened windows and a ceiling fan. It shares a common kitchen area and bathroom block with Fale Ua. Great for the budget holiday on the beach. Our other new unit, Fale Ua has 2 single beds, screened windows and a ceiling fan. It shares a common cooking area and bathroom block with Fale Taha. A great spot for the budget Traveler on the beach. This is the area for gathering after the days adventures and telling your stories. We have a BBQ, book exchange, magazines, board games and power outlets to charge your electronics.